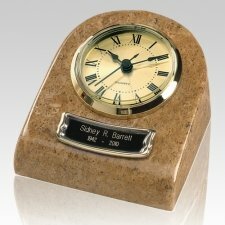 The Marble Clock Earth Keepsake Cremation Urn is from natural marble detailed and finished to perfection. No marble urn will ever look identical to another. Color variations are normal by marble urns.